A mum comes in all shapes and forms, no shape being more perfect than the other. In this blog we will help you find a unique and thoughtful gift for your mum this Mother’s day. Our Mother’s day gift guide is based on a collection of individual qualities your mum might have. So what best describes your mum? Read on to discover thoughtful gifts for your mum this Mother’s day. The sentimental mum treasures everything you do, holding all things related to you dear to her heart. For her we think our Personalised Message Candle is an ideal gift. Below is an example of how we have personalised the lid with a special message for Mother’s day, to remind her how much she means to you. Engraved with specific names and dates the candle lid can be kept for years to come. Once the candle has burnt out it can be used as small storage pot. For a mum who is super stylish, and keeps up with the latest trends. We love the idea of mummy and me matching jewellery. If you follow any celebrity mums on social media, you may have seen them dressing to match their daughters. Two great examples of this are Coco Rocha and Beyonce. 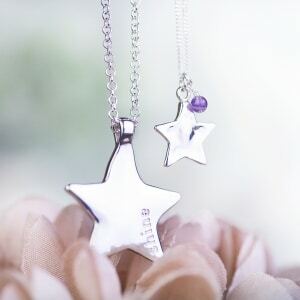 For this type mum we have paired our Silver Maxi Star Shine Pendant with our Girl’s Birthstone Star Necklace. Each necklace is a beautiful and wearable piece of jewellery for a mother and daughter to treasure. The large star has the word ‘Shine’ stamped deep into the front to inspire your mum to let her lovely personality shine through. If you have a rebel mum she will embrace her imperfections. Not conforming to the stereotypical mum image which has become more outdated throughout the years. 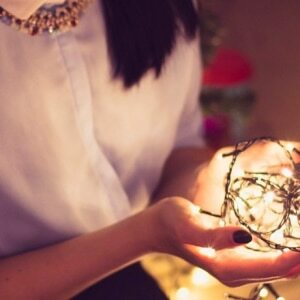 As a result you love her even more for her cool individuality. 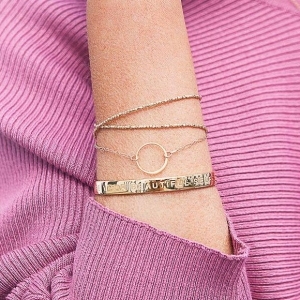 For her we think our ‘be you beautiful self’ Message Bangle is ideal. Worn on the wrist is can be a daily reminder of her strength and the support you have for her. Becoming a mum can be a scary and emotional time for many women, they are slowly discovering what it means to be a mum. This is why the first Mother’s day is arguable the most significant and memorable. Our photo jewellery is a gorgeous way of storing memories, which is why we have chosen our Small Photo Pendant as a gift for the new mum. 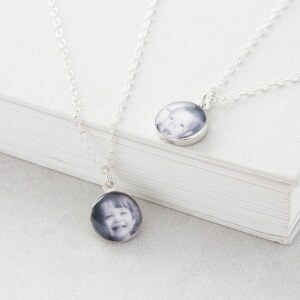 This small photo charm pendant can be customised with a image that captures their baby during its first years. The wellness mum believes in caring for both her body and mind and inevitable yours. She has developed a healthier style of living which focuses on clean eating, exercise and mindfulness. Wellbeing has become a hot topic in recent years with more and more products that promote this type of lifestyle. For the wellness mum we recommend our Maxi ‘Serentity’ Open Circle Pendant to reflect her easygoing and peaceful way of life. For any one close to you that has given you guidance and supported you like a mum, maybe it’s your grandma or god-mother. You may want to treat them to a thank you gift this Mother’s day. 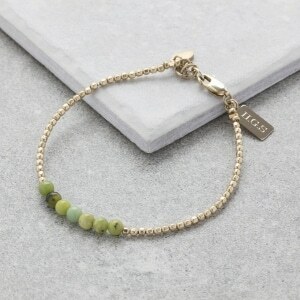 For the mother figure we recommend the Personalised Birthstone Bracelet. This classic bracelet is a simple and elegant design that suits most women. 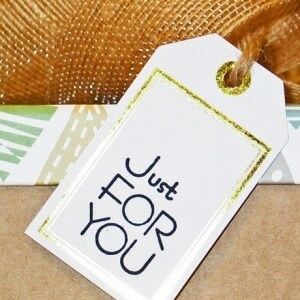 To make it a special gift the tiny tag can be engraved with a few special words to make them smile. Each mum is special in her own way by being a wonderful combination of all, or just some of these characteristics. We hope after reading our gift guide you will have a better idea of what you might spoil your mum with this Mother’s day! For more ideas check out our Mother’s Day Category.